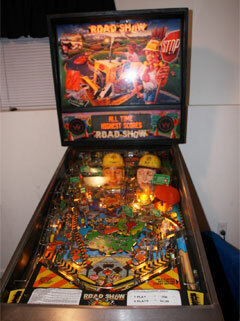 Check out these Williams Red & Ted's Road Show Pinball Machine For Sale. You will also find parts and accessories for current owners including the blast zone light, kickout light, rubber ring kits, decals, manuals, translites, flyers, sling shots, and speaker cutouts. 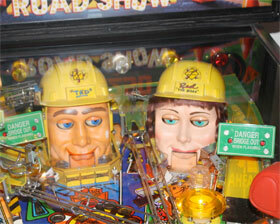 The game is considered an unofficial successor of FunHouse since it be a Lawlor game with freaky heads.